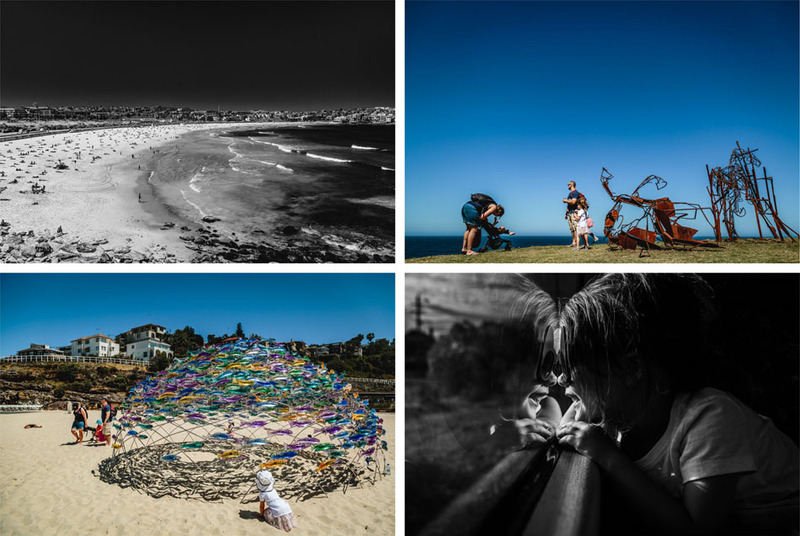 I was contacted by the parenting website I freelance for and commisioned to check out the opening day of Sculpture by the Sea at Bondi to take photos and produce a video for them. Having always wanted to check it out, but never finding the time, I agreed to take on the assignment and it ended up being a pretty cool day out. You can read my write-up here and check out the video here. The girls were delighted at the prospect of not only catching the train, but catching two trains, as well as a bus. While they enjoyed the sculptures & their first glimpse of Bondi Beach, it's safe to say that their favourite part of the day was the travel to and from. Clearly, they live by the philosophy that it's not about the destination but the journey! Then came the weekend and the absolute joy of getting to spend it with some fellow bloggers. Aside from photographers, fellow bloggers are some of the most fun people to hang out with! 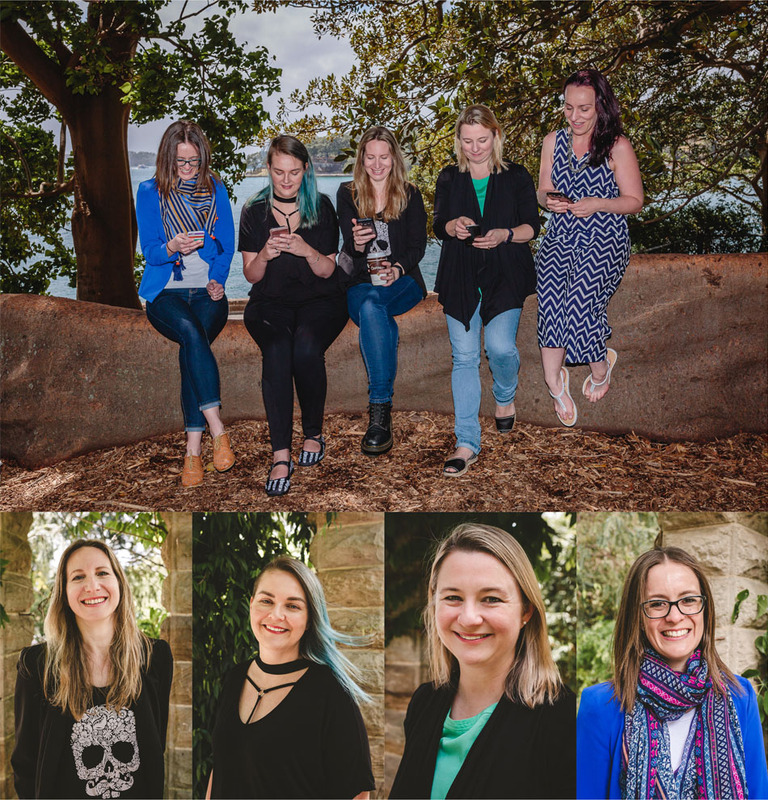 On Saturday we met at the Botanic Gardens so I could shoot some new headshots for them, and on Sunday we had lunch at Opera Kitchen, under the Opera House. Aside from attending the Bloggers Brunch each year, I don't get a lot of time or opportunity to be hanging out with people whose lives & opinions I've been reading about for years. 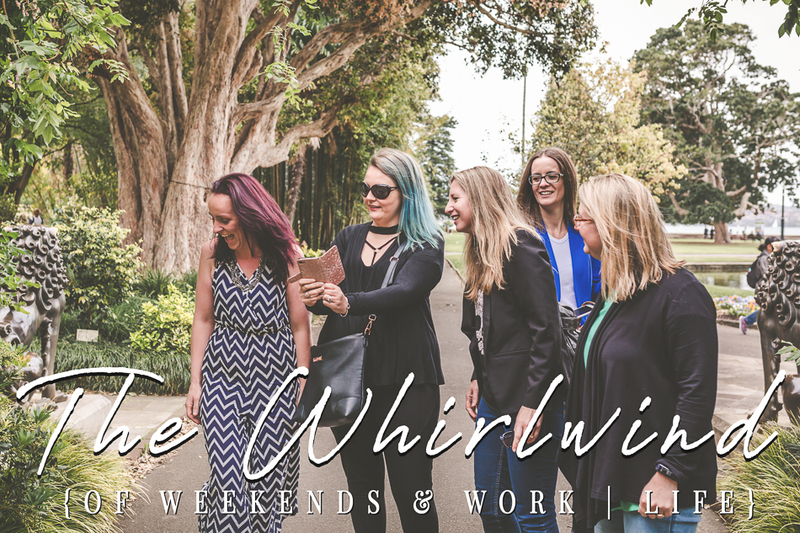 I have plenty of friends and family to be going on with, but there is just something special about spending time with people who share your love & enjoyment of something like blogging. So here's a shout-out to the wonderfully fantastic Emily, Amy, Mel, Rachel, Helen & Bron, without whom my weekend would have been waaaaay more boring!!! Right now I'm gearing up to shoot a wedding on Saturday and I can't wait! I'm a bit of a wedding junkie and never in a million years would I ever have thought I'd get paid to attend them! Even carrying around 10kgs worth of gear doesn't dampen my enthusiasm for a good shindig, and getting to photograph people having a fun time really feeds my inner creeper as I get to observe wonderful humans during their special days. After the wedding I'm back to shooting playgrounds for Ellaslist and also squeezing in a little headshot fun with Kylie from Kidgredients who couldn't make it to our blogger shoot on the weekend. I'm excited about that shoot because I'm pretty sure she'll feed me something delicious while I'm there! That's all from me this week. As I head into this busy season I think I'm going to take a leaf out of the girls' book and try just enjoying the journey! How was your weekend? Do you find this time of year stressful or delightful?